It is very hard to find a woman who would be completely happy with her figure. Some dream about breast augmentation, others about a wasp waist, the third ones about taut, round buttocks. Techniques used to achieve the desired result are characterized by efficacy, safety and cost. The liposuction is the undisputed leader among the ways to reduce the volume quickly, and buttock augmentation is actively used for increasing of buttocks; this method received positive feedback from physicians and patients. The essence of the procedure consists in installing a silicone implant that compensates the missing roundness. Further tightening of the skin of the buttocks and thighs. The implant is not harmful to health, but only an experienced surgeon should select and install it. 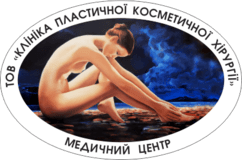 Buttock augmentation does not require special preparation of the patient, but it is necessary to undergo a medical examination before surgery. The plastic surgeon will assess the results of the analysis at the meeting and will discuss all the details regarding endoprosthesis replacement with you. Upon detection of contraindications, the specialist will propose another procedure for changing of buttocks volume, e.g. lipofilling of buttocks and thighs. During the discussion, you will choose the size and shape of the implant, what affects the cost of plasty. The next stage of preparing for the procedure of buttocks increasing includes the markup of the correction area. With the help of the virtual model of the figure generated by a computer program, you can see the approximate effect of plasty. In addition, the anesthesiologist will select the appropriate dose of anesthesia. The procedure is performed under general anesthesia. under the superficial fascia of gluteus muscle in case of tissue atrophy and the inability to perform deeper penetration of the implant. After placement of silicone insert the physician visually evaluates the symmetry and contours of the buttocks and then sutures the damaged tissue. The skin is sutured via intradermal cosmetic seam that is almost invisible after healing. Buttock augmentation lasts for about 2.5 hours. After that, the buttocks acquire their final shape and volume, but they can only be evaluated after the disappearance of edemas and hematomas. The entire rehabilitation period lasts about two months. You will have to stay in hospital under the care of specialists for the first 2-3 days. At this time, you may need to take antibiotics and pain medication. Sutures are removed in 10-14 days after buttock augmentation. Two weeks after dismissal from hospital it is prohibited to sleep on the back, as well as it is not recommended sitting in one position for long. For the entire period of rehabilitation, you will need to stop smoking, drinking alcohol, visiting sauna, take hot baths and perform tanning. In addition, you should avoid active exercises. You should wear compression underwear instead of ordinary one. Remember that after buttock augmentation injections in the gluteal region are prohibited for the lifetime because of the risk of damaging the silicone inserts. Lifting of the gluteal region and upper thighs. You can find out how much it costs to conduct buttocks augmentation in "Our Prices" section or by phone. The cost depends on the depth, size and density of the implant. Reviews of thousands of women evidence that having once decided to perform modeling of the figure you will gain self-confidence, feeling the abundance of life.